Applicants who have completed any degree with relevant experiences and retired personnel from AAI/IAF/PSUs /Central / State Govt. Deptt or equivalent from a recognized Institute for AAI Recruitment 2018. Manager (ENGG.ELECTRICAL): Full-time regular B.E / B. Tech Degree in Electrical. – 5-year work experience in the Executive Cadre in a field of Electrical Engg. Manager (ENGG. CIVIL): Full-time regular B.E / B. Tech Degree in Civil. – 5-year work experience in Executive Cadre in the field of Civil Engg. Manager (HUMAN RESOURCES): Graduate and full-time regular MBA or equivalent (2 Years duration) with specialization in HRM / HRD / PM & IR / Labour Welfare. – 5-year work experience in Executive Cadre in the field of Human Resource Management. Eligible & Interested candidates can apply via online in Official website page at www.aai.aero AAI Recruitment 2018. Complete the AAI Jobs Application Form with the essential data. 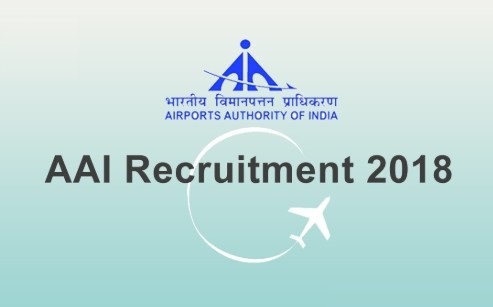 Take a print out of AAI Recruitment 2018 online application form. Senior Assistant (Accounts): Applicants should have completed Graduate preferably B.Com. with computer training course of 3 to 6 months with 2 years relevant experience in the concerned discipline or equivalent from a recognized Institute for AAI Recruitment 2018. Senior Assistant (Steno): Applicants should have completed Graduate with 80/40 w.p.m. with 2 years experience and computer proficiency or equivalent from a recognized Institute for AAI Recruitment 2018. Assistant (Office): Applicants should have completed Graduate with typing speed @ 40 w.p.m. with computer knowledge with 2 years relevant experience in the concerned discipline subject to trade test or equivalent from a recognized Institute for AAI Recruitment 2018. Junior Assistant (Drg-Civil): Applicants should have completed 10th pass, ITI in Civil Draughtsmanship with 2 years relevant experience in the concerned discipline or equivalent from a recognized Institute for AAI Recruitment 2018. Junior Assistant (Drg-Elect): Applicants should have completed 10th Pass, ITI in Elect & Mechanic Draughtsmanship with 2 years relevant experience in the concerned discipline or equivalent from a recognized Institute for AAI Recruitment 2018. 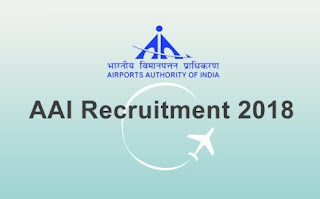 Junior Assistant (ACR): Applicants should have completed 110th Pass, ITI in Air Condition & Refrigeration with 2 years relevant experience in the concerned discipline or equivalent from a recognized Institute for AAI Recruitment 2018. Eligible & Interested candidates can apply via online in Official website page in www.aai.aero AAI Recruitment 2018. Log on to AAI careers page at the official website www.aai.aero.